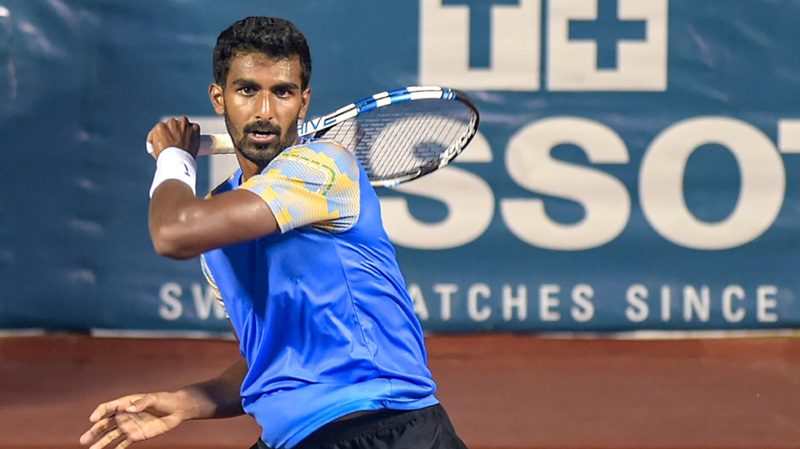 Prajnesh Gunneswaran, India’s top player broke into men’s singles top-100 for the first time in his career on Monday. A jump of six places landed him on rank 97 and he became the third Indian player in the past decade to achieve this feat after Somdev Devvarman and Yuki Bhambri. It was the persistent efforts that paid him off at last, while one year ago Prajnesh’s ranking was as low as 242. By April, he had dropped further to 266 and the 28-year old at that time, he had never managed in the main draw of an ATP tour event. He only entered the circuit full-time only in 2016 and after overcoming five years of injuries to both the knees he finally found some rhythm after April and rode the momentum to get to where he is now- India’s No1 singles player. With a brilliant 2018 season, the determinant 29-year old reached the semi-finals of the ATP Chennai Challenger last week to ensure his ticket into the coveted bracket of top 100. Even though he bowed out to Australian Andrew Harris, he earned 29 ranking points which take his total tally to 579. The next challenge ahead of Prajnesh is to stay on top which Devvarman remained for 83 weeks and Bhambri for 37 weeks and overcoming this will lead him into Grand Slam Singles main draws.